Hi everyone! I hope you all are enjoying your week. I’m super excited about today’s post. Like over the moon, couldn’t wait for the day to get here, counting down the minutes like it was Christmas morning, excited. The reason I’m so excited is because this is the beginning of a new feature here on Scattered Squirrel. It’s combining two of my all time favourite things, all of you lovely readers and more printables. Last month when I posted about Three Months of Printables, I put it out there that I was taking requests. I really do want to hear about what sorts of things you wish you had printables for. I know from personal experience that there is nothing more frustrating than spending hours, days, heck even weeks, trying to find just what you’re looking for. There are so many options out there in Blogland, in Etsy stores, or even just in the big world wide web in general. Even with all of that, it can be hard to find just what you’re looking for. It can be frustrating trying to make something work when it’s not quite right. That’s why I started to make my own, and I absolutely love designing printables, and I love sharing them with all of you even more. That brings us to the new feature here on the blog, Reader Request! Once a month, (or more often if I get lots of requests) I will create a printable that one of you incredible people have asked for, and I’ll share it here, on the blog, for all of you to enjoy. Now, you might wondering, “What’s the catch?” Well, there is none. Send me an email, leave me a comment on the blog, Facebook, Google+ or Twitter (I’m still learning Twitter, but I’m pretty sure you need to put @ScatterSquirrel in your tweet for me to get it, if I’m mistaken, please let me know. I’m still pretty Twitter illiterate) about what kind of printable you’re looking for, and I’ll see what I can come up with for you. The only requirement is that the printable will be shared here on the blog for everyone to enjoy. And like all the other printables here, they’ll be for personal use only., That’s it! I kept it pretty simple. A check list for each room. I toyed with a few ideas for how to organize the rooms, and finally opted to group them by floor. Topping the printable is the main floor rooms. I opted to put these ones on top because our main floors tend to get the most use, they’re also the first areas most visitors see and spend time in. It just made sense to put them up top. And even if your home is all one level, those are the rooms that company tend to see and be in the most. That’s followed by the upstairs. Why did I put this one next and not the basement? Well, typically doing the bedrooms shouldn’t take too long, and we all need a nice clean and tidy place to rest our head. And lastly the basement. This box/section also contains some blank spaces in case there were items I didn’t include or maybe you have a few more rooms and would like to add them. And just for fun, I added in a simple check list of typical cleaning tools and supplies. Ok, that’s not strictly true, it wasn’t just for fun. I added in the bottom check list so that when you’re planning out what room/rooms you’re going to be cleaning you can quickly check to make sure you have all the supplies you need. I thought it might be helpful. Thank you so much to the reader who wrote in. It was so much fun to work on this for you, and I hope it was what you were looking for. I’m truly honoured to have worked on this for you. So there you have it, my first Reader Request feature and the printable it inspired! As always, click the caption to snag your own copy. This one, and all the holiday printables will be added to the Printables tab this weekend. So what do you think? What printable would you request if you were requesting one? Love your site! Do you have these printables in a 5 1/4″ or so x 8 1/2″ or so size? I do not have these ones in the half-size, yet! 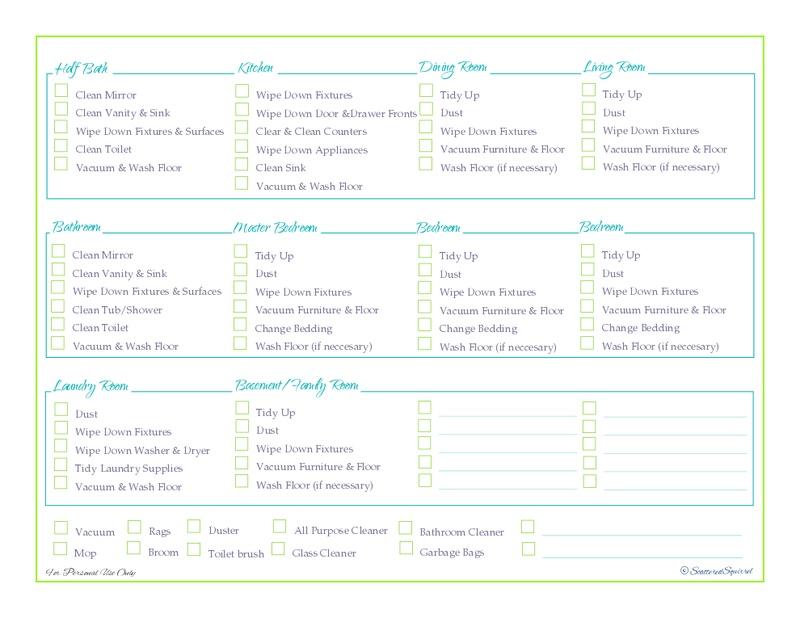 Stay tuned because come January I’m updating all my home management printables, as I do I’m also creating half-size versions. Love, love, love your page and printable — it’s my “go to” for everything now as you have made it so easy. I do have a question/request however. I use half-size as I use a mini binder for my planner. Do you have any printable that have a Saturday/Sunday on the same page format – times are not necessary as I use these more for notes and “fill ins” then actual appointments. I am currently using the Daily Agenda format and just split the page for both Saturday and Sunday, ignoring the time sections and it works very well. Secondly, I love the idea of the half-size monthly pages where the “to-do” and “goals” are on the same page — and the colors are amazing! I was wondering if you had thought of putting the same information on a front/back format instead of two page format? In a mini binder, there is usually either capacity for 175 pages or 250-275 (which is what I use) so anything that is front/back works so well so that I can put more of the year in the binder instead of adding/removing. Thanks again for your great work – and being such a life saver as I rely on my binder for EVERYTHING!! Thanks so much for taking the time to reach out and leave such a nice comment. I’ll add your suggestions to the list and see what I can come up with. For the 1/2 size monthly planners I do have a couple of workarounds that I use for mine, because I like to print double-sided too. The first one is to print the monthly planner on one side and the corresponding two-page monthly calendar on the other. This way when you’re flipping through you see what you have on your “to-do” section, then the whole month, then your goals for the month on the back. The other workaround and the one that I’m currently really liking it print the monthly planner on just one page. Fold it in half instead of cutting it. Attach a sticky tab to it and write the name of the month on the tab and use it as divider. I, personally, really like this option because it makes it super easy for me to flip straight to my monthly planner/goals so I can check in on them really quick. I will look into making some changes to it. I’m currently in 2017 calendar mode, but once I get those completed I’ll play around with these ones and see what I can come up with. I am looking for the 2 page calendars for 2017….I can’t believe I need to plan that far ahead. Thank you for creating these great cute and FREE resources. Thank you. 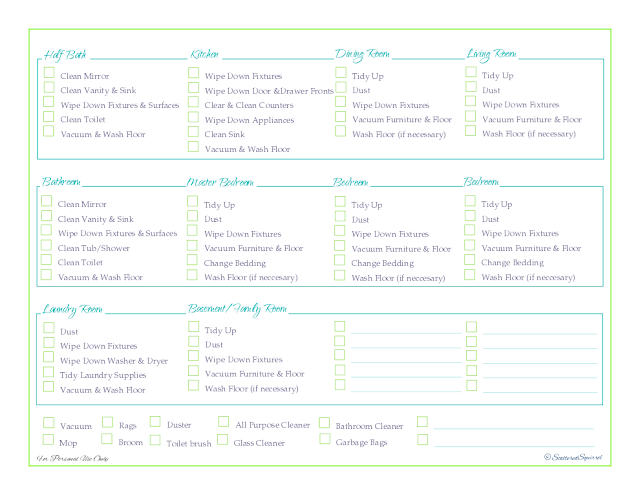 I would LOVE if the family weekly schedule (half size) was combined with the weekly to-do’s (half size). So it would be a two page spread, with the family weekly schedule on one side with bigger blocks and all of the to-do stuff on the other side. That would pretty much be my perfect layout! That’s a great combination. I’ll add that to my list of pages to make, stay tuned! I’ll see if I can push it out before the end of July!